Any city is good for street photography, no doubts about that. Yet, some destinations are definitely more attractive when you plan on combining street photography with some hard earned holiday time. The listing below therefore suggests 12 destinations which boast great settings for street photography, but also ample leisure and cultural offerings. I have shot street photography in all of these cities and I consider them as “walk friendly”. In other words, you can wander aimlessly in their streets for hours and stay out of danger. Evidently, no city is 100% safe, so get informed before you travel and use your common sense when unsure about a specific neighbourhood. Glamour, fashion, romance, architecture, food, culture, history, … Paris has it all. The whole city provides beautiful backgrounds for your street shots and you’ll find interesting characters at about every street corner. Get lost anywhere, walk for hours enjoying the marvellous settings. Sure, Parisians are not always easy to deal with but a smile usually gets you by and a lot is perdoned to tourists. And when you finally get tired of shooting, any terrace will do for a nice rest with a good wine. London is the city that best defines the word “cosmopolite”. The mix of nationalities, cultures, trades, and neighborhoods makes street shooting in London as diverse as you’ll ever find. Centuries-old neighborhoods border modern ones and alternative cultures mix with the old Establishment. Of course, you won’t resist to include in your shots some of these iconic London features such as red phone booths, cabs, double deckers, and why not, a few friendly bobbies. Finally, London has a very active community of street photographers so try to hook up with some of them for a better experience of the city. 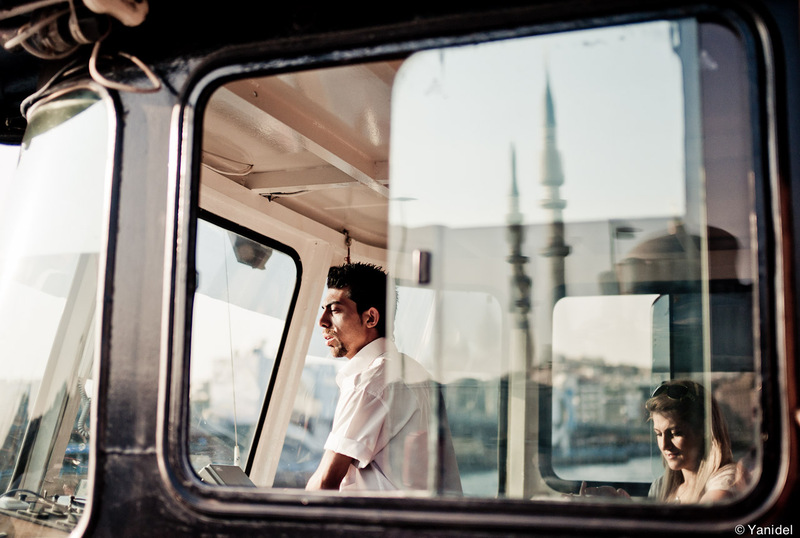 No other place like Istanbul combines the Arabian Nights atmosphere with nowadays modernity. The sights of mesquites all over the city as well as the sounds of the calls to prayer will throw you back in time. Hop in and out of the ferries, hang around the famous Galata bridge or get lost in tiny streets around the Grand Bazaar. Also, do not hesitate to venture out of the beaten trails and head to the working class neighbourhoods such as Fener, that’s where you’ll find the best shots. Finally, do not forget to visit the coffee shop of famous street photographer Ara Güler to enjoy a Cappuccino while going through one of his wonderful books. Dolce Vita is the word that often comes to the mind when Rome is named. Though a bit of a stereotype, Rome best represents this art of living with pleasure as the main goal. You’ll see people wandering in the streets, young people flirting and this general attitude that one needs to let life flow, with no preocupations. The architecture is obviously magnificient, so is the way the people dress. There is a lot of glamour in Rome and Roman are some of the most expressive people. Decisive moment photography will be at his best there. Finally, try do dedicate a day to street shooting in the Vatican City. While it will tough to include the Pope in one of your scenes, you’ll still encounter a few interesting scenes. Havana got stuck in the 1950’s. Classic American cars, colonial architecture and a wonderful sea front (Malecon) are the iconic elements of Havana. Too bad for Cubans that the whole city is now severely deteriorated, but as a street photographer you’ll love the setting and the way every day life unfolds in the streets. 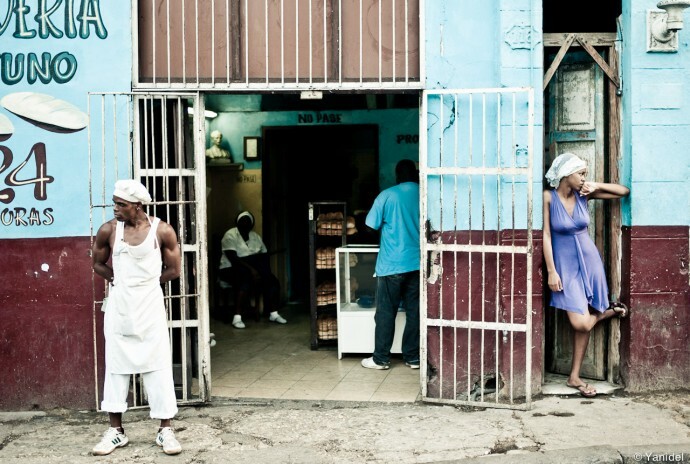 Havana is one of the only city in the world whose downtown is still entirely settled by the popular classes. Cubans are friendly and have a great sense of humor (or self-derision), so make sure you get to know them. Finally, don’t wait too long to visit, Havana is changing very fast. Not a good news for street photographers but probably the promess of a better future for Cubans. “Lost in translation” is the movie that perfectly illustrates your state of mind during your first days in the streets of Tokyo. The city is diverse and full of oddities to Western eyes. You eventually get used to it and start to include these peculiar element of Japanese culture in your picture. Tokyo boasts crowded avenues, Manga streets and the ever lasting light of neon lights, but also quieter residential neighborhoods with temples at every street corners. Funnily, the Tokyoites are so respectful that they’ll never yell at you for taking their pictures. Try to show the same respect and don’t invade their private space too much when you feel you are bothering. Granted, their football team is lousy (sorry, as a fervous Real Madrid fan, I had to stick that one in), yet Barcelona is the best “non-capital” city in Europe. Get lost in the narrow streets of the Gothic area, visit the popular neighborhoods of Poble Sec and hang around the busy beach front. All of that bathed in the warm Mediterranean sun. Food is amazing too and the tapas bar full of life for some great interior shots. 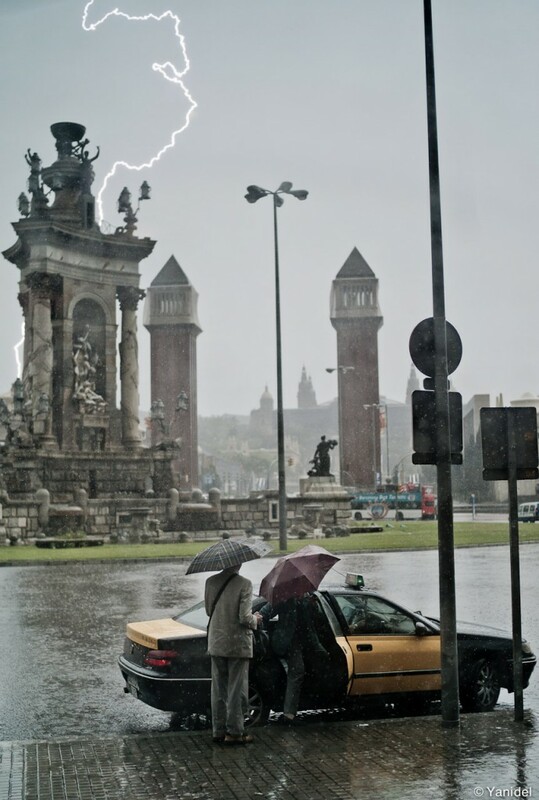 Life in Barcelona is as good as it gets in Europe and so will be your street photography opportunities. Bangkok was the big surprise of our trip. So much that we ended up staying for more than two weeks there. This is definitely the most chaotic city of the list, but hey, it makes great pictures too. Walking by the canals or taking boats on the River are musts, as well as wandering in 100% Thai popular neighborhoods. Do not forget to sneak in a temple early in the morning and shoot monks heading to their morning quest. Bangkok is a pretty safe city, and on top of being very friendly, the people of Bangkok just love to be photographed. As a street photographer, it will take all your skill to beat the posed attitudes. Sydney (and similarly Melbourne) mix American style architecture with British Heritage. This is the city of shadows at sunset (or sunrise) which will allow you to play with shapes and contrast in a creative way. But that is not all, Sydney is also a beach city and you’ll definitely enjoy the surfers culture at Bondi Beach. Its harbors are another great photography spot as thousands of people converge there to enjoy the cooler evenings. As for leisure time, no worries, Sydney will provide anything you could think of. Hong Kong is a perfect location for shooting and to buy shooting equipment. Everything is cheaper in HK and the choice of stores of new and used equipment is endless. As for the street shooting itself, there will always be light as the city’s neon signs will carry you through the night. Immerse yourself in the large crowds of frantic shoppers and hang around the old “Central” part of town for great shots. Finally, do not forget to dedicate a day to nearby Macau, another very odd place on earth with great pictures opportunities. The capital of Portugal is probably the less known city of this list, at least in terms of street shooting. Nevertheless, I can only highly recommend it. Built on hills, with stunning architecture and crossed by its cable cars lines, Lisbon provides a stunning setting for street photography. Enjoy the moderate Atlantic climate, hunt the streets at night with the sounds of Fado singers, or simply head to Cascais for a day at the beach. The visit to Lisbon can be combined with a trip to Porto which is another great place for street photography in Portugal. Of course, last but not least, New York. A long time Mecca for street photographers, New York is the city to mix leisure, shopping, culture and street photography. The high rises, the busy avenues, Time Square, Soho … nothing knew to most of you, but what a pleasure to shoot. Note that people don’t really care about your whereabouts and New Yorkers are weird enough that something special is always going to happen at the corner of the street. Finally, the big apple is probably the best place in the world to visit exhibits and galleries dedicated to photography so plan some time for it. There are several cities in South America such as Buenos Aires or Rio de Janeiro that should probably be included in this listing. Yet you simply cannot walk aimlessly with a camera in these cities due to safety issues. Major Indian cities are also good candidates yet I haven’t visited them. As it is due in the next three months, I’ll update accordingly. Finally, Cairo should be on the list, but I have unluckily not visited it so far either. Any city you would like to suggest ? Please share in the comments section below. And do no hesitate to vote for your dream destination on my Facebook page. lol. try toronto in august. no gloves needed, unless they're filled with ice to keep you cool. Very much enjoyed reading that, and it makes me want to get on a plane right away. I'm spending 7 weeks in Indonesia and SE Asia from May-July, so will report back on the street scene there. Can't wait. Another great place is San Juan, Puerto Rico. Maybe not a top 12 city, but it's got some great old-world charm and vibrant colors. Thanks for the suggestion. Probably too small for a long street photography stay, but definitely a holiday first destination ;) Cheers. I agree Tokyo is amazing for photography for the reasons you list — and it's one of those cities that don't have ANY no-go areas (in terms of safety). At the moment I'm enjoying regular jaunts through the fish markets of Busan, South Korea. I'll admit it's mostly guerilla-shotting for me though — those female fishmongers are scary! Made me laugh, I can imagine a street photography in was with female fishmongers ! Don’t get caught in their nets ! I wonder how is Seoul for street shooting ? Oh, man. I should spurt further! I only went to NYC. Lovely article and the destinations are true street photography capitals! The image from Havana is one screeming to be printed large and on a wall in your, or my house! Well done. Your blog makes me wanne travel now! I can't wait for my first yearly trip to Croatia in June! Hi Danni, I hope to offer some of my images as big prints in the future, so who knows ? Though I have never been to Croatia, many friends have. Photography will be great there, and do absolutely plan a few days on a boat, this is part of the experience. Can I translate your article and post it in my blog? I will refer to this article page. Moreover, I will use all link that you provide in this articles. If so, thank you very much. Thanks for the proposal but I prefer to have all content in English and remain on this blog. I have had bad experiences in the past with this, and I am ultimately responsible with what happens with the text and pictures. Hope you understand. Not too long after you posted this article and I voted on your poll, I had booked a short trip to Beirut Lebanon (you should definately add it to your list of cities to check out if you haven't yet) and happend to have layovers in 3 of the top cities you're listing here. 6hrs in NYC and 9.5hrs in Roma on the way there and 11.5hrs in Paris on the way back. While I've been to NYC and seen plenty, I haven't been to either Rome or Paris and I look forward for my short 'glimpse' of those cities. I'm very interested in a longer trip to Turkey, Paris, Italy, and Cuba for further exploration. Well, I am sure this was plenty time to get one or two good shots in each of these destinations ;) Seriously, you need to go back and spend mroe time. One week in Rome, and definitely two in Paris. I don't know Beirut yet, a place I need to visit in the future and maybe add to the list ! The shadow of USA? Chicago. The very first place to go in this country. All the bits and pieces of the very last American place. There is no microcosm American city like it. From food to architecture. Just ask Alex Webb. I have been to Chicage a couple of times and it is indeed great for street photography, no doubts about it. Yet, I am not so sure about it being an extended vacations destination, like other cities in the listing. That is why it was not included, maybe my wrong. Hi Yanick, back to you article while thinking about my next trip for 2013… Istanbul surely… I wondered about countries you've encountered difficulties when shooting (security, misunderstanding about street photography and local culture, etc…). As for Peru, what were your feelings? Have a nice day… Philippe. Never been, but maybe one day! I’ve just discovered this blog and I think is very good, congratulations!! Regarding the cities, one suggestion: Shanghai. Is really a nice place for street photography, quite different from Hong Kong. Thanks for your generosity and, again, congratulations!! Thanks for your input. I hope to shoot Shanghai one day. It will take time though and meanwhile, it will keep changing very fast! cheers. I totally agree with Hong Kong as a great place for street photography, especially Kowloon. I have lived in Southern China and now am based in Beijing so i’m a little biased but I think that all of China provides for fascinating photo opportunities. Although H.K has an abundance of camera stores not all are honest and there are plenty of stories of people being ripped off either with grey market goods that have no warranty or by having goods switched – those interested should search online for some of the scams that have been pulled. I would add Seattle, Washington, to your list. I traveled the world for 40 years at the staff photographer for a major airline, shooting street in all of the cities on your list and more. Seattle is my favorite. Its a very liberal city where people are very accepting of street photographers. The sky is usually overcast, which makes for nice even lighting. On top of this, you have an active street life and great places to shoot, like the Pike Place Market, Seattle Center, Westlake Park (the city’s main public square and the scene of almost constant political demonstrations) the ferry boats by ply Elliott Bay, the Seattle Center and the Freemont neighborhood, which sports a 60 ton statue of Lenin. All in all the city is a great place to shoot.